Welcome to The Summit Apartments. We have an optimized screen reader version of this site available. Looking for a pet friendly apartment community in Los Angeles, CA? 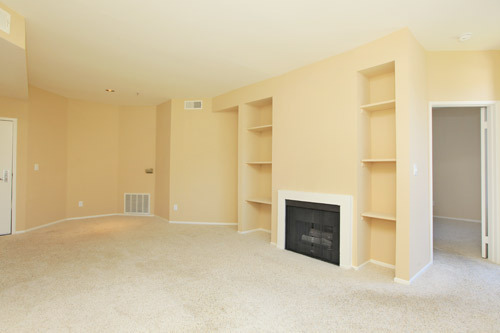 Look no further than The Summit Apartments! As one of the few pet friendly communities, we proudly allow cats here at The Summit Apartments. Now your pet has the opportunity to relax by your side and enjoy the comforts of your apartment home. In the heart of LA's most historic and vibrant neighborhood, The Summit is moments away from Hollywood Boulevard, the Dolby Theater and some of the city's finest dining, nightclubs and shopping. The Summit is centrally located to downtown, Century City, Beverly Hills, and the Mid-Wilshire corridor, as well as many major film, television and recording studios. Runyon Canyon Park is just a block away, featuring expansive hiking trails with renowned views of the city. Freeways and the MetroRail are easily accessible, putting the best of Los Angeles in your backyard. 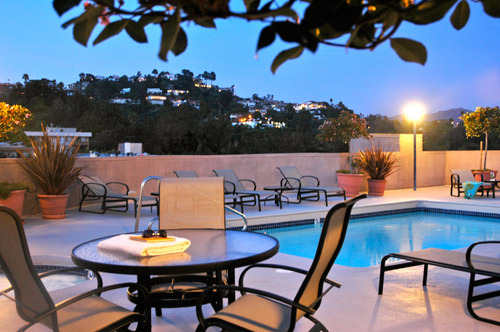 The serenity of sweeping Hollywood Hills and city views is as close as the rooftop pool. Enjoy a hard workout on our second floor in our state of the art fitness center, with sauna. Make an appointment for a private tour today!